Sleek open main compartment with interior seams. 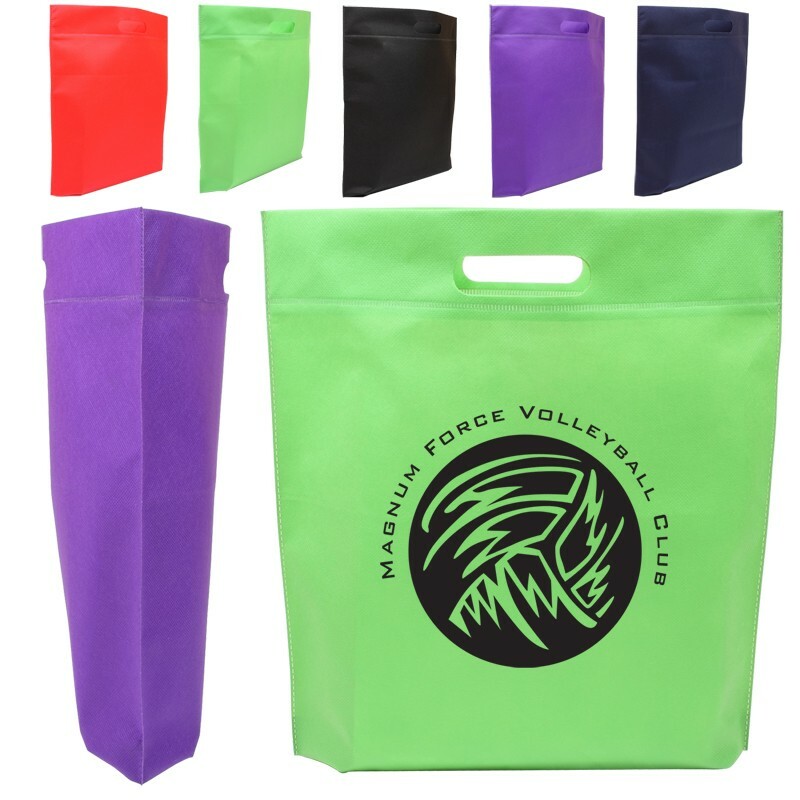 Made of durable and eco friendly heat sealed 80 GSM Nonwoven Polypropylene material. Reinforced die cut handles for easy carry.